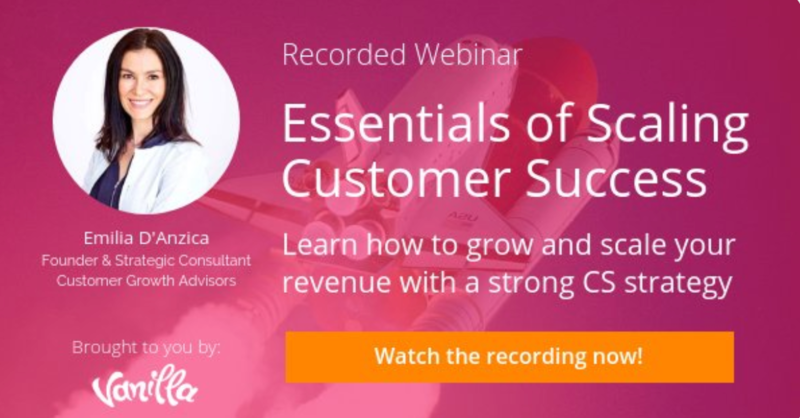 Learn more about scalable customer success frameworks, growth mindsets - both with your customer's shoes on. Earlier this week, I co-hosted a webinar with Vanilla Forums. We discussed building scalable programs with your customer’s shoes on, proven Customer Success frameworks, and shifting to a growth mindset as an individual, team, and organization. Catch the on-demand replay right here, right now…and then tell me what you think. Do you have other strategies to consider?